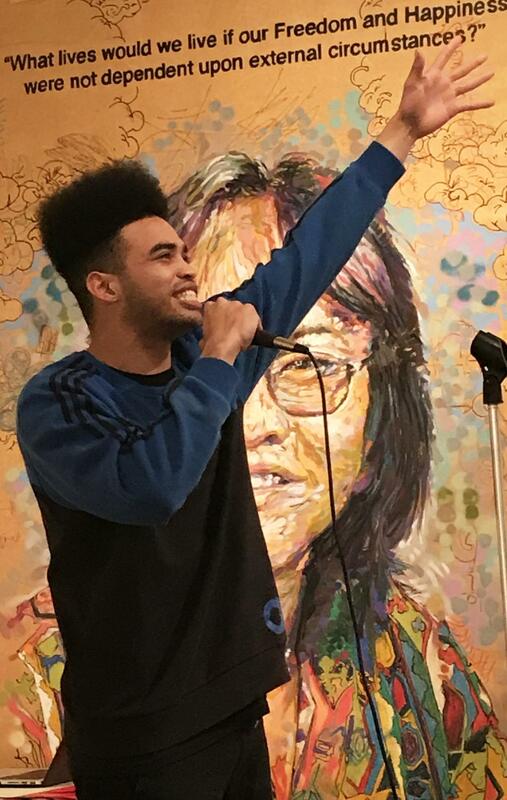 Tyrone Powell, known as MC Black Jesus, extends himself to the crowd at the Feb.1 First Thursday open mic in the Euphrat Museum. Emcee Black Jesus is the stage name of De Anza student Tyrone Powell, 21, computer engineering major who has been rapping for three years, representing San Jose. Powell said this song was conscious rap, but he stressed the importance of exciting delivery for any lyrics. One sign-up wanted to play a song on violin accompanied by a backtrack, but his hands started to shake. 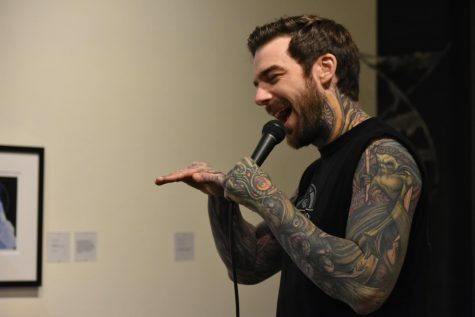 The audience encouraged him, but he took the microphone in hand and laughed off the stage fright. His spotlight continued, and he could comfortably rap. McTate Stroman, who works as a program coordinator for occupational technology at De Anza, is emcee of the monthly open mic events. 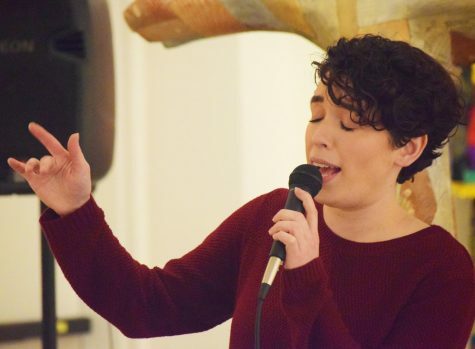 He rapped and also performed a poem about his sister called “An Image of Strength.” He explained she hasn’t spoken in over 30 years since her heart briefly stopped, causing brain damage affected with encephalitis doctors had misdiagnosed. Stroman said his sister makes him want to perform, use his voice and create a platform for others. Tyrone Powell, known as Emcee Black Jesus, extends himself to the crowd at the Feb.1, First Thursday open mic in the Euphrat Museum.